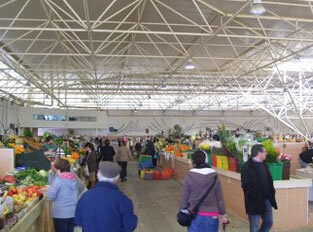 There are many Algarve markets to visit. 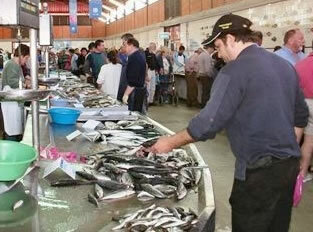 The most common Algarve market is the daily fresh fruit and fish markets, most towns and villages in the Algarve have one, and they are generally located in the centre. Get there early in the morning to find he best fish! Then we have the gipsy markets, auctions and the flea markets. The monthly gipsy markets also have food and beverages, mainly coffee, beer and fried chicken! Many locals of the area dress up for this monthly event! Shop till you drop and find the best bargains at one of the markets of the Algarve. We made a complete list for you! Fresh vegetables, fruit, clothing, textiles, shoes and household items on sale. Held in Guia on the third Friday of each month. Open 09:00 - 14:00. Market of fresh vegetables, fruit, clothing, textiles, shoes and household items at Rua Miguel Bombarda on the first Saturday of the month. Open 09:00 - 13:00. Flea market held next to the bus terminal in Caliços on the second and third Saturdays of the month. Open 08:00 - 13:00. Fresh vegetables, fruit, clothing, textiles, shoes and household items on sale at Rua das Escolas near the municipal canteen. Open the first and third Tuesday of the month at 09:00 - 14:00 Also open St. Peter's day 29th June. Fresh vegetables, fruit, clothing, textiles, shoes and household items. At Vaqueiros every second Thursday of the month from 09:00 - 14:00. For fresh vegetables, fruit, clothing, textiles, shoes and household items. Held in front of the parish church at Pereiro on the fourth Sunday of the month. Open 09-00 - 14.00. 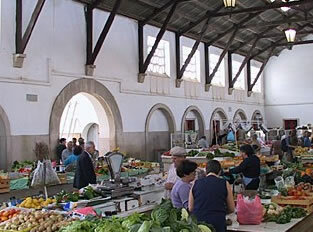 General market held at the Igreja Nova on the third Monday of each month. Open 08:00 - 14:00. Gipsy market held next to the church in Rogil on the fourth Sunday of the month. Open 08:00 - 13:00. 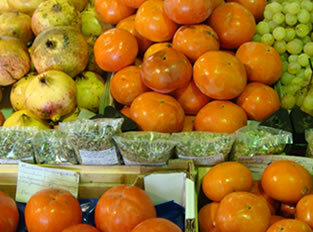 Weekly farmers’ market selling the best quality organic fruit and vegetables from the Algarve. Call in to browse, fill your shopping basket, and stay for lunch. Flea market held next to the C&S school on the second and fifth Sunday of the month. 08:00 - 13:00. General market held close to the C&S school on the first and fourth Sunday of the month. 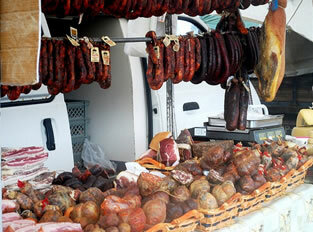 General market at Largo Jose Cavaco Vieira every third Thursday of each month 08:00 - 14:00. 9am – 2pm. Plus Farmers market down at the Fishermans huts, on a Sunday 08:00 - 13:00. Auctions of household and garden goods including electrical appliances, furniture and antiques in Barracha, near São Brás de Alportel. Viewings available Friday before 10:00 - 16:00. Event held first Saturday of every month. Contact Tina. Tel: 919 767 066. Every last Thursday Gipsy market at Boliqueime. Last Thursday of the each month 08:00 - 14:00. General market held at Azinhal on the first Sunday of each month. Open 08:00 - 13:00. Monthly market held every 2nd Saturday. Regional products, vegetables, dry goods, clothing, footwear, sweets and crafts. Until 13:00. Gipsy market selling handicraft made of wicker, wood and ceramics, as well as household and dry goods. At Cortelha on the second Saturday of the month 08:00 - 14:00. General market in Estoi, close to the Mercado Abastecedor. Takes place every second Sunday of the month. Open 08:00 - 14:00. Flea market in Faro, at the Algarve Stadium car park. Takes place the first and third Sunday of the month. Open 07:30 - 14:00. Flea market takes places on the second Sunday of the month. Open 08:00 - 13:00. Market with space for up to 180 vendors selling a variety of items for every need. Sítio do Tominhal, next to Auto Jardim, Ferreiras. 08:00 to 15:00. 2nd and 4th Tuesday. Market next to the Fuzeta Camping park. 08:00 - 13:00. Flea market held in front of the Fatacil building on the fourth Sunday of the month. Open from 11:00 - 16:00. Weekly market of fresh vegetables, fruit, clothing, textiles, shoes and household items. Held in front of Fatacil on the second Sunday of each month. Open 08:00 - 13:00. Lagos Animal Protection Society organise a charity sale with all proceeds to go towards helping animals in the Algarve. To be held every 2nd Saturday of the month at Burgau Sports Club. For further details Tel: 282 687 334 / 966 047 994. Flea market held in the area next to the football field, just 100 metres outside the village of Barão de S João, on the road to Lagos. Held every fourth Sunday of the month. Flea market held at Chinicato every second Sunday of each month. Weekly general market at the Bus station. Every Saturday of the month 08:00 - 14:00. Fresh vegetables, fruit, clothing, textiles, shoes and household items on sale at Largo do Moinho. Takes place every fourth Monday of the month. 08:00 - 13:00. General market at Rua 25 Abril. First Saturday of the month 09:00 - 14:00. Every morning in the Arabian style market hall on Praça da República. Loulé's famous Saturday morning market. Rua Nossa Senhora da Piedade. Special themed markets for crafts, antiques, books, collectables, bric-a-brac, flowers and herbs. Cerca do Convento. 11:00 - 17:00. Market selling fresh vegetables, fruit, clothing, textiles, shoes and household items close to Rua das Olaias. First Sunday of each month, 08:00 - 13:00. Gipsy market selling handicraft made of wicker, wood and ceramics, as well as household and dry goods at Largo Sao Sebastiao. Takes place on the second Friday of the month 08:00 - 14:00. 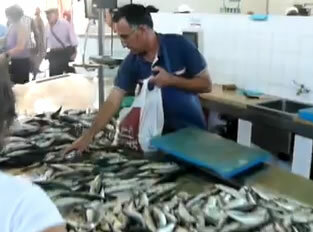 Olhão has the largest fish and fruit market of the Algarve, impressive and worth a visit. Flea Market held every first and third Sunday of each month. Located at Parque de Feiras e Exposições de Portimão, Caldeira do Moinho until 14:00. Fresh vegetables, fruit, clothing, textiles, shoes and household items market at parque de Feiras e Exposições de Portimão, Caldeira do Moinho. Every Wednesday at Fonte Santa. 09:00 - 14:30. Santa Catarina da Font do Bispo. Fourth Sunday of the month. 10:00 - 15:00. Quinta da Fonte do Bispo, Quinta da Fonte do Bispo N270, CXP797A, Santa Catarina, Tavira. Tel: 281 971 484. info@qtfontebispo.com. Auctions of household and garden items, furniture, electrical appliances and antiques. Items available for viewing on the preceding Friday. Held at Barracha, 1km out of São Bras town centre on EN 270 to Tavira. Open 10:00 - 16:00 on the first Sunday of the month. Tel: 919 767 066. Flea market on the third Sunday of the month in the area surrounding the school EB 2/3 Poeta Bernardo Passos, 08:00 - 14:00. Fresh vegetables, fruit, clothing, textiles, shoes and household items on sale in Sagres. Held first Friday of each month 09:00 - 14:00. General market at Rua Boaventura Passos. Every Saturday 08:00 - 13:00. Every 1st Friday Fruit, vegetables, flowers, clothes, textiles and shoes in the city centre of Alcantarilha. Held first Friday of the month 09:00 - 14:00. Every 2nd Monday Gipsy market selling handicraft made of wicker, wood and ceramics, as well as household and dry goods next to the Junta de Freguesia. Second Monday of the month 08:00 - 13:00. 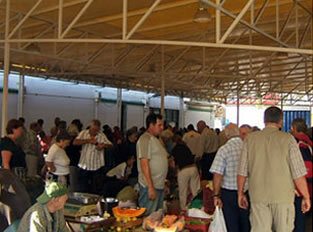 Every 1st Thursday General market close to the urban centre held on the first Thursday of every month 08:00 - 13:00. Gipsy market held in the market square (between Rua Antonio Aleixo and Rua 1 Maio). Fourth Monday of each month. General market at the Sitio da Alagoa. First Saturday of the month 09:00 - 14:00. Fresh vegetables, fruit, clothing, textiles, shoes and household items at Largo da Fissul. Third Monday of each month 08:00 - 13:00. Fruit, vegetables, flowers, clothes, textiles and shoes at Cabeça Gorda (Cachopo). Held first Sunday of the month 09:00 - 14:00. Every fourth Sunday of the month. Fonte do Bispo on EN270. 10:00 - 15:00. €5 per car. Tel: 281 971 484. Boot sale each second and fourth Sunday of the month. Quinta Fonte do Bispo, EN 270, Stª Catarina, 8800-161 Tavira. 09:00 unto 14:00. Tel: 281 971 484. General market at Portela da Corcha, Santa Maria. Held fourth Saturday of each month 08:00 - 13:00. Auctions of household items, furniture, antiques, pictures and bric a brac at Vale Caranguejo. Viewing available Friday before 10:00 - 18:00. Event held every third Saturday of the month doors open at 09:00. Auction starts 10:00. Contact Emma or Diane. Tel: 916 138 059 / 916 138 060. Gipsy market at Rua Vale Carangueijo. Third Saturday of the month 09:00 - 13:00. Flea market selling handicraft made of wicker, wood and ceramics, as well as household and dry goods. At Rua 1º Maio on fourth Sunday of each month, 08:00 - 13:00. Gipsy market selling handicraft made of wicker, wood and ceramics, as well as household and dry goods at Rua 1 Maio, next to level crossing. Held every fourth Saturday of the month 08:00 - 13:00. General market in the city centre. First Monday of each month 08:00 - 13:00. Fresh vegetables, fruit, clothing, textiles, shoes and household items on sale in Budens. Market selling handicraft items made of wicker, wood and ceramics, as well as household and dry goods. In the market square on the first Thursday of each month 08:00 - 13:00. Market featuring fruits, vegetables, fish and other food products. In the market building behind the Café Zig Zag, Vila do Bispo. 09:00 - 13:00. Market selling fresh vegetables, fruit, clothing, textiles, shoes and household items held next to the Primary school. First Wednesday of the month 09:00 - 14:00. Flea market at Praça Marques de Pombal every second Saturday of the month from 10:00. Gipsy market at Vila Nova de Cacela on the third Sunday of the month 08:00 - 13:00. Flea market at Monto Gordo next to the Tourism Office. Held on the fourth Saturday of the month from 10:00.